Salomé Cuesta’s strategy is one of representational suspension. Her installations present us with mute, almost empty spaces, barely punctuated by a series of elements with so little material presence and objective character that it becomes difficult for us to categorize them as sculpture. 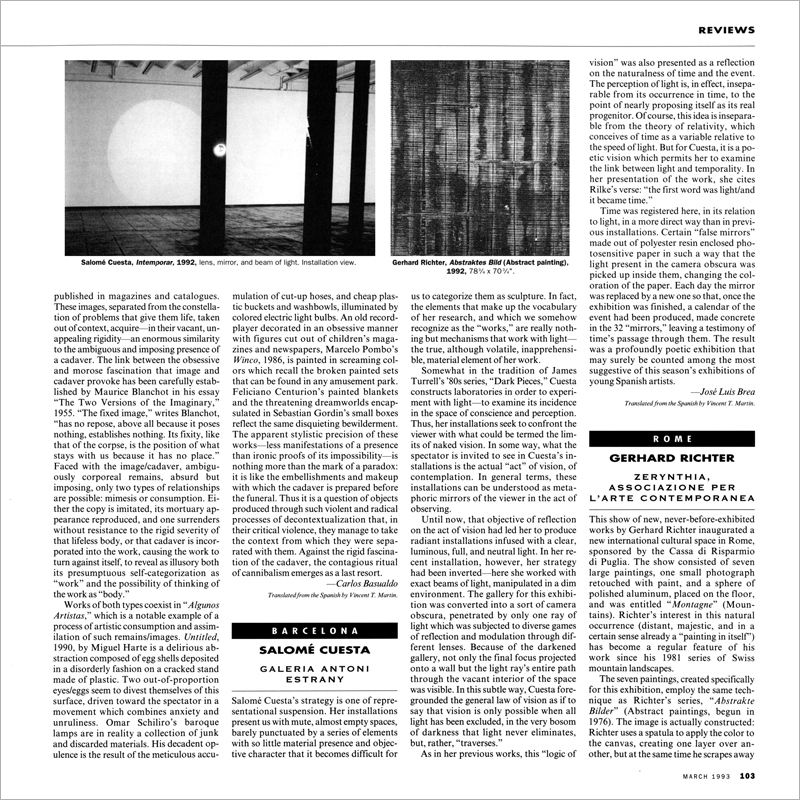 In fact, the elements that make up the vocabulary of her research, and which we somehow recognize as the “works,” are really nothing but mechanisms that work with light—the true, although volatile, inapprehensible, material element of her work.